A chocoholics dream, coming true every Friday & Saturday at 4PM on an English tour with individual registration! 6 thematic private tours, available every day of the week. For your company, family, friends or just by yourself! Absolutely loved the tour! Our tour guide was very well spoken, passionate about the city and with a good sense of humor. Definitely will join again next time I'm there. Big thumbs up!!!! Stan Livingston - San Diego, U.S.A.
We had a fantastic time and tasted some lovely chocolates on the way. It was a nice mix of chocolate tasting (with a bit of history) and other interesting facts about the city. Nick is a born natural tour guide and knows so much about his home city. Jim B. - St. Albans, U.K.
Our family of four thoroughly enjoyed Nick’s chocolate tour yesterday. 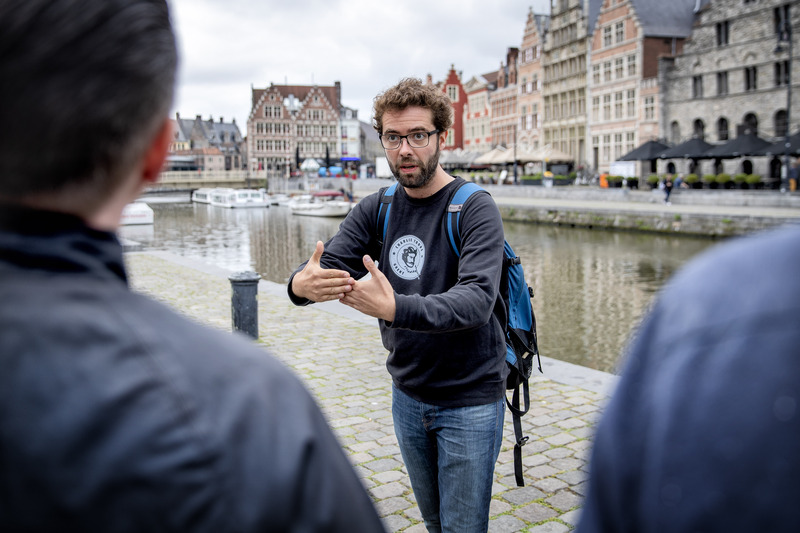 We learned all about the intriguing history of the chocolate business in Ghent as well as the history of Ghent in general. The samples during the tour were delicious!